DJ Khaled’s been teasing his next album, Father Of Asahd, but we might have to wait until 2019 to actually receive it. 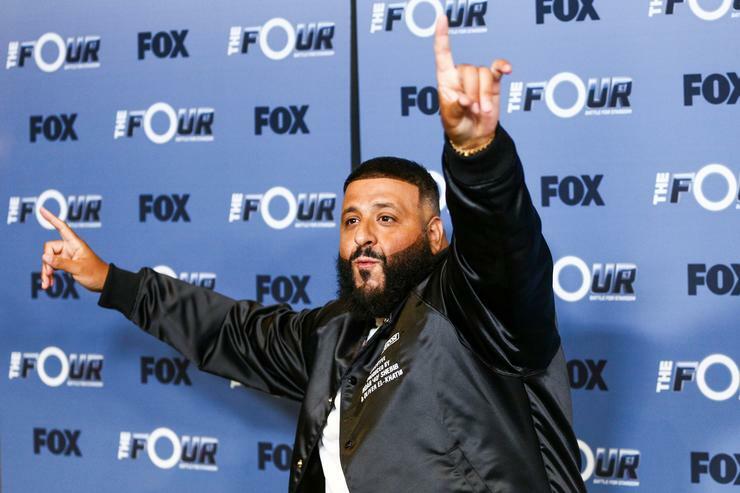 Khaled’s been busy working on other ventures over the past few months such as his “We The Best Home” furniture designs, his role as a panelist on The Four, his Air Jordan collab and much more. However, he’s also been dabbling in film and television. Khaled previously appeared in Pitch Perfect 3 and Netflix’s The After Party. After guest starring in the animated kids show, Blaze and the Monster Machines a few weeks ago, Khaled will now be joining Will Smith in the upcoming film Spies In Disguise. Deadline reports that DJ Khaled has joined the cast in the upcoming animated film, Spies In Disguise which stars Will Smith and Tom Holland. Along with Khaled, Rashida Jones, Karen Gillan, Ben Mendelsohn, and Masi Oka have also been tapped for the voice cast in Fox’s Spies In Disguise. The film’s premise surrounds Lance (Will Smith) and Walter (Holland). Lance is a charming spy while Walter creates the spy gadgets that Lance uses. After a dangerous scenario occurs, Lance and Walter must work together in order to save the world. The film is based on an animated short that Lucas Martell released in 2009, Pigeon: Impossible.